Lotos Mountain Resorts is a wooden settlement in Konitsa, inside the activities and events area Konitsa Lotos Farm. Its visitors have the ability to stay in the wooden or stone houses of the settlement and spent their leisure time. In the 130 decares area are specially modified spaces offering plenty of activities and accommodating Greek wildlife. 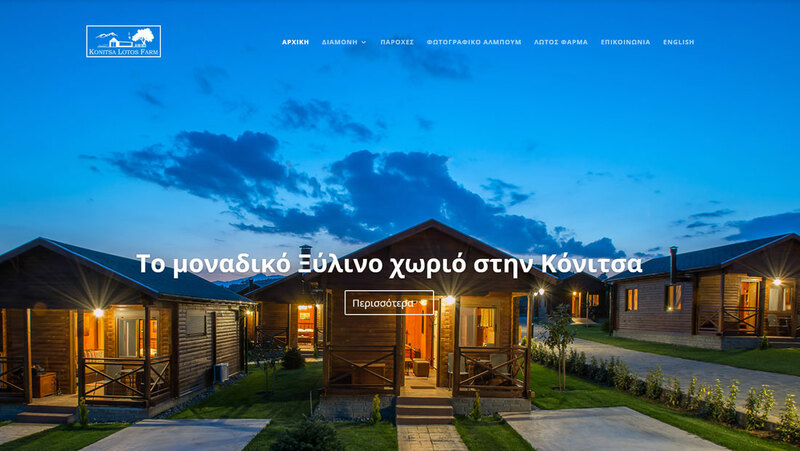 We undertook the development of the website lotosmountainresort.com using WordPress. Visitors of the website have the ability to browse the bilingual web-pages, choose the accommodation that interests them and proceed to reserve it for the period they want.